Discussion in 'iPhone and iPad Games' started by alhvi, Jun 30, 2016. In the game trees live in a peaceful world until invaders come to attack their territory. To protect themselves the trees have to expand their reach to gather resources and then use the resources to create defenses. 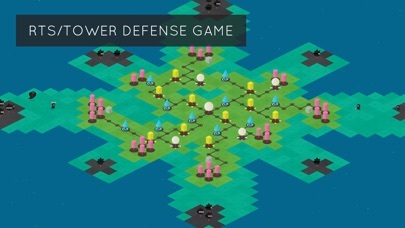 The game starts with a single tree at the center. The player has to grow roots to extend their territory and plant trees that extract resources from the land. Resources are needed to plant more roots and trees. 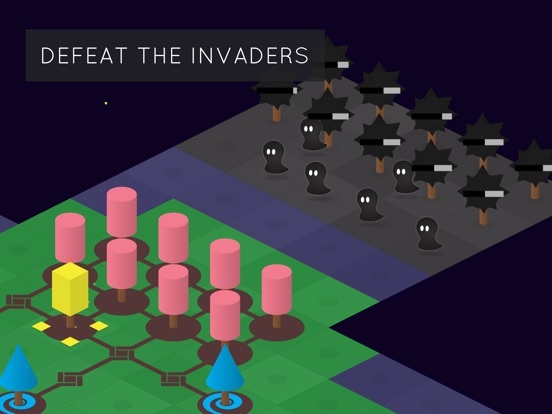 After some time, invaders come to destroy the player's forest, so the player must plant defender trees to repel the attack. The goal of the game is to awake 5 life trees to unlock a new power that will destroy the invaders completely. 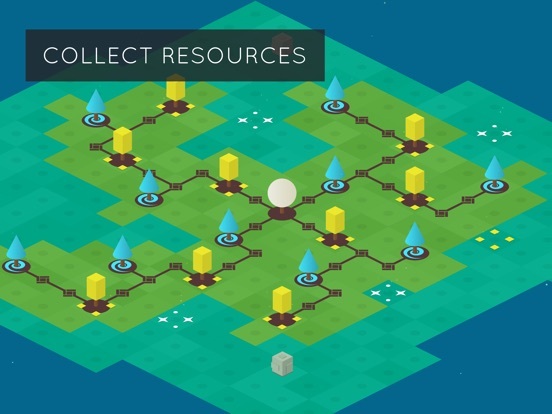 Resources are scattered around the land which is different each play. 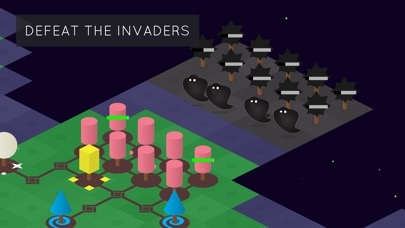 Invaders appear over time on the corners of the map. The order in which they appear is different each time, so the player has to react to different situations. The game features three different game modes: Apprentice, Warrior and Sage, that represent different difficulties. The color of the game changes in different stages of the game to show the players progress. I' m fond of playing this game. I like minimal games so thanks dev!! Is this randomly generated, or what? I have no clue, at all. This looks awesome and I'd love to give it a go, but I agree with above that I really don't know entirely what's going on. Having some sort of write up or more detailed explanation especially in the App Store description will do wonders for this. Ps, this thread is in the iPad only section, but I guess it's universal? It's fun, you need to plant 5 life trees to get the victory, the life trees are the white ones, but it's not that easy, I planted 4 but got destroyed after that, so you have to plan exactly what you do and what tree to plant, very interesting all. It has the Full Gamecenter treatment which is always a plus for me, this is the last time I will say this, well maybe ha ha. Planting the 5 life trees won't get you the victory it goes further than that see for yourself this is great fun. 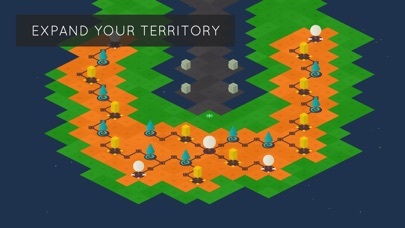 Land is randomly generated each play. Enemies appear in different locations each time. My mistake, but I think the admins fixed it now. Thank you very much for the suggestion. We've updated the info on the App Store but it will take a while to appear on the page. Meanwhile we've updated the info in the description in this thread. That is a lot better, I feel like I have a far better idea of what is going on now thanks! I like everything I'm reading. As well as the video and TA write-up from this morning. I'm buying in. Well, it's not as easy as I thought it might be - my first attempt and I didn't pass the first challenge. Interesting different types of trees you can plant, but I wasn't able to keep producing enough minerals to keep up and the purple warrior(?) trees didn't seem to do any attacking and I couldn't see any benefit provided by them. It feels like a fairly slow going game, the first challenge is to survive 15 minutes so it doesn't feel like a quick game you pick up and play when you are out and about... I'll have to try playing a couple more rounds and get a more broad impression... Edited to add: ah, the war trees do produce soldiers to help defend - but they are extremely slow in doing so. I've now lost the tutorial level twice so far - I'm really not good at this game, lol. Bummer. Got my first victory, wow that feels great, I did it in 16.10 minutes. Great game! I love the graphics and it has been very challenging so far. 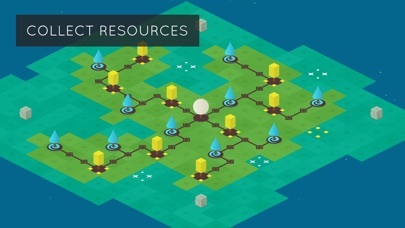 You have to defend one stage in three difficulties, starting more or less with hard and just getting harder, so basically it's rymdkapsel with trees. If you liked rymdkapsel, you'll probably like Nanuleu too. If you thought rymdkapsel was a great looking and very challenging game, but you'd have preferred more than just one stage with three levels of frustration, you'll probably feel this way about Nanuleu too. 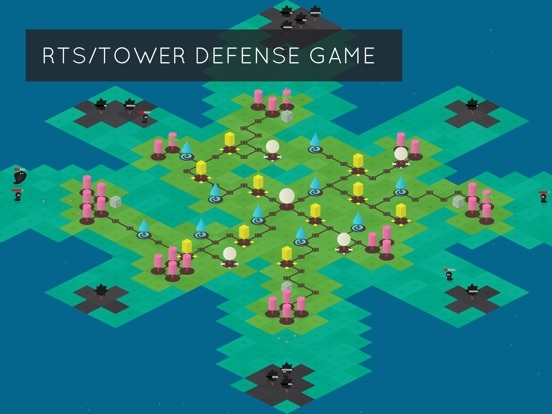 It's not a game for people who have been waiting for a casually playable tower defense game. This is for people who like to invest a lot of time figuring out a strategy for getting every achievement. It's a game for people who like challenges. If you just like to plant trees and complete the stage, the game is over in about 20 minutes and that's it. I like the design and I think it's a great little game. It's not what I hoped it would be, but that's my fault, the game is fine. I played the stage once and when it became clear I've seen all there is and after the first playthrough it's just about beating your own highscore, I deleted it. It's nice, but not for me. Not having played Rymdkapsel, this summary still describes my experience with this game exactly, as well. Won the battle first try, but the achievements will be more difficult. I like it a lot! I love to see a more detailed video showing a sample playthrough of a level. Rymdkapsel is brilliant because it succeeds in finding the very delicate balance needed for such a puzzle-strategy game to succeed. 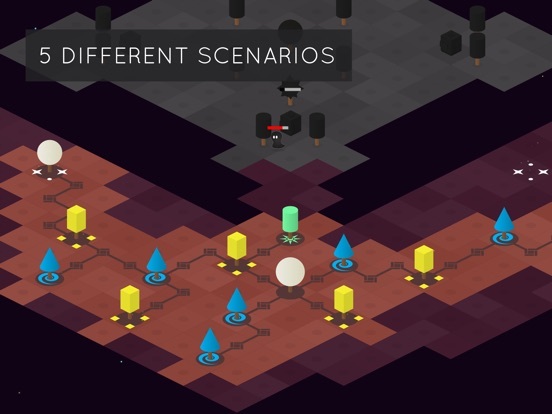 Unlike traditional RTS, a puzzle-RTS removes much (not all) of the "randomness" that can lead to a failure scenario even if the player is playing the game optimally. 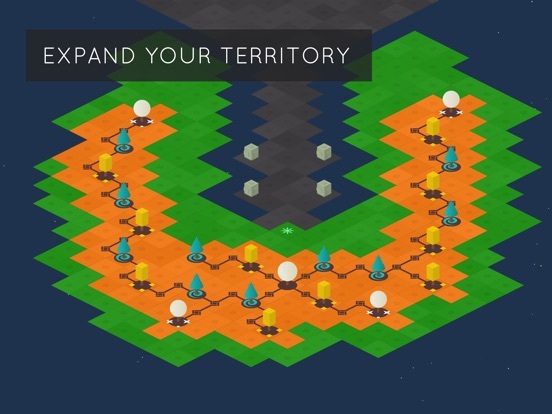 In Rymdkapsel, once you discover the "correct" strategy to build your base, it is almost always possible to beat the level by a margin despite the seemingly random directions of enemy attacks. Achieving this fine balance is no simple feat, and it is this element that makes Rymdkapsel so unique. 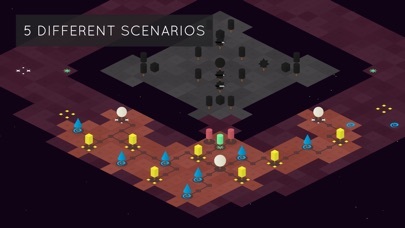 I love to see Nanuleu in action and to know if it plays with this fine balance just like Rymdkapsel. I'm not entirely sure why I can build some trees some times and not others. Can someone explain the legends that pop up when tapping to create a tree?